The plurals generally refer to the announcement by God to a group (“let us create humankind” – “hey, let’s do this!”). “Our image” means there is something that connects God, the group (heavenly host), and humans. That something = certain attributes God possesses in himself and shares with the members of the heavenly host and humans that allow both to represent him. The singulars point to who is doing the creating (“he created humankind”) and who is being represented (as his image). There is solid historical precedent for the interpretation of the image and the understanding of the plurals in Gen 1:26 offered in Unseen Realm. A few examples will suffice. The image makes man God’s representative on earth. That man is made in the divine image and is thus God’s representative on earth was a common oriental view of the king. Both Egyptian and Assyrian texts describe the king as the image of God (see Ockinga, Dion, Bird). Furthermore, man is here bidden to rule and subdue the rest of creation, an obviously royal task (cf. 1 Kgs 5:4 [4:24], etc. ), and Ps 8 speaks of man as having been created a little lower than the angels, crowned with glory and made to rule the works of God’s hands. The allusions to the functions of royalty are quite clear in Ps 8. Another consideration suggesting that man is a divine representative on earth arises from the very idea of an image. Images of gods or kings were viewed as representatives of the deity or king. The divine spirit was often thought of as indwelling an idol, thereby creating a close unity between the god and his image (Clines, TB 19  81–83). Whereas Egyptian writers often spoke of kings as being in God’s image, they never referred to other people in this way. It appears that the OT has democratized this old idea. It affirms that not just a king, but every man and woman, bears God’s image and is his representative on earth (Gordon J. Wenham, Genesis 1–15 [vol. 1; Word Biblical Commentary; Dallas: Word, Incorporated, 1998], 30–31). An alternative understanding of the meaning of the imago Dei is that humankind is not in the image but is, in fact, the image. Humanity does not so much share with God his essential reality but, rather, is a representative of that reality. That is, humankind has a functional role to play, a role that requires no ontological commonness with God. Such a case rests grammatically on the well-attested use of the preposition bĕ as a so-called beth-essentiae (or beth of identity). This permits a translation such as “Let us make humanity as our image.” The following comparison (“according to our likeness”) does not have a beth-essentiae, it is true, but such a beth does occur with “likeness” (dĕmût) in Genesis 5:1 (bidmût). Clearly, if a case can be made for a functional use of beth in Genesis 1:26 with ṣelem, then it can be made in Genesis 5:1 with dĕmût. This opens the possibility that kĕ (usually translated “according to”) in Genesis 1:26 may also signify function rather than similitude (cf. Wis 14:17). Humankind, thus, is the image and is the likeness of God. The synonymous nature of ṣelem and dĕmût also supports this option. More persuasive than the grammatical evidence, perhaps, is the inner textual elaboration of what is meant by the image of God. Immediately after the resolution to make humanity “in the image” and “after the likeness” of God is the statement of purpose for human creation, namely, that humans have dominion over all God’s creation (Gen 1:26). Then again, following the statement of creation (Gen 1:27), God pronounced a blessing over the male and female, a powerful word of effective promise that humanity should fill the earth and dominate all its creatures (Gen 1:28). The connection between the notion of image and humanity as sovereign seems most apparent: to be the image of God is at the same time to be God’s vice-regent in the exercise of divine lordship (E. H. Merrill, “Image of God,” Dictionary of the Old Testament: Pentateuch [Downers Grove, IL: InterVarsity Press, 2003], 443–444). Various referents have been suggested for the “us.” The traditional Christian interpretation, that it represents a plurality within deity, has some textual support and satisfies the Christian theology of the Trinity (John 1:3; Eph. 3:9; Col. 1:16; Heb. 1:2). That God is a plurality is supported by the mention of the Spirit of God in 1:2 and the fact that the image itself is a plurality. This interpretation would also explain the shifts in the text between the singular and plural. The primary difficulty with this view is that the other four uses of the plural pronoun with reference to God (3:22; 11:7; Isa. 6:8) do not seem to refer to the Trinity. The explanation that better satisfies all such uses of the pronoun is that God is addressing the angels or heavenly court (cf. 1 Kings 22:19–22; Job 1:6; 2:1; 38:7; Ps. 29:1–3; 89:5–6; Isa. 6:8; 40:1–6; Dan. 10:12–13; Luke 2:8–14). It seems that in the four occurrences of the pronoun “us” for God, God refers to “us” when human beings are impinging on the heavenly realm and he is deciding their fate. In Gen. 3:22, God sees that human beings have grasped the knowledge of good and evil and have become like divine beings. In Genesis 11 the heavenly court comes down to see what the earth-bound are building to attain the heavenly space. In Isa. 6:8, God is clearly addressing the heavenly court, which the prophet in his vision has entered. It is not surprising that God would address the heavenly court, since angels play a prominent role in Scripture (e.g., Gen. passim; Job 38:7; 1 Tim. 3:16), and there is much commerce in Genesis between the angelic realm and human beings. (Source: Bruce K. Waltke and Cathi J. Fredricks, Genesis: A Commentary [Grand Rapids, MI: Zondervan, 2001], 64–65). Some commentators misconstrue the functional view – speaking of it as though it cancels out or is antithetical to the idea of the human form being a property of what it means to be human (e.g., Victor P. Hamilton, The Book of Genesis, Chapters 1–17 [The New International Commentary on the Old Testament; Grand Rapids, MI: Wm. B. Eerdmans Publishing Co., 1990], 137). This simply isn’t the case. Hamilton further opines that Gen. 1:26 isn’t concerned with defining the image. I’d suggest (see later chapters referencing Herring’s work, Divine Substitution) that the concept of imaging would have been intuitively apparent to an ancient Israelite. In other words, there’s no need to spell out all the implications. The biblical writers were writing for an audience that shared their cognitive framework. They didn’t assume they’d need to explain everything for a foreign worldview. 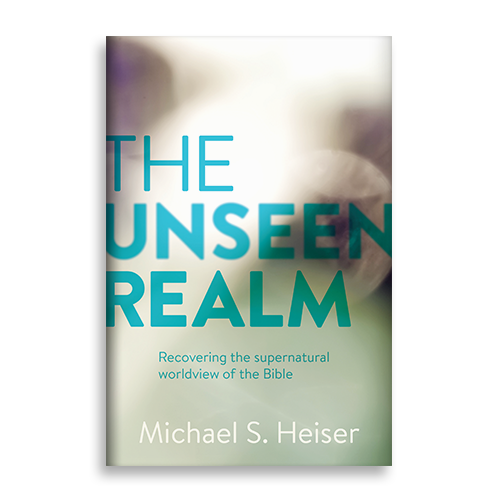 Lastly, as I showed in the book at length, the human form as a way to “image” Yahweh was used by Yahweh himself – and was part of a divine being representing him in terms of function and mission. There is simply no need to dichotomize “form” and “function” when understanding the image. Both are part of the primary meaning: humanity by definition is God’s representative on earth. To be human is to be the image. Overemphasizing the form / appearance aspect also could be used to argue that an ancient person didn’t view the invisible human (in the womb) as a human person. While this may be palatable to some moderns, the ancient person would have presumed a pregnant woman carried a human being. And indeed she does. Paul Joüon and Takamitsu Muraoka, A Grammar of Biblical Hebrew (vol. 2; Pontificio Istituto Biblico, 2003), 486 (Par. 133.c.). Bruce K. Waltke and Michael Patrick O’Connor, An Introduction to Biblical Hebrew Syntax (Winona Lake, IN: Eisenbrauns, 1990), 197–198. On the plurals as referring to the members of the divine council, Wenham notes, “From Philo onward, Jewish commentators have generally held that the plural is used because God is addressing his heavenly court, i.e., the angels (cf. Isa 6:8). Among recent commentators, Skinner, von Rad, Zimmerli, Kline, Mettinger, Gispen, and Day prefer this explanation” (Gordon J. Wenham, Genesis 1–15 [vol. 1; Word Biblical Commentary, 1998], 27). Johann Jakob Stamm, “Die Imago-Lehre von Karl Barth und die alttestamentliche Wissenschaft,” Antwort. FS Karl Barth, Zürich-Zollikon (1956): 84-98. As noted in the chapter, the answer to the plurals in Genesis is not the “plural of majesty.” As Joüon-Muraoka notes, “The we of majesty does not exist in Hebrew” (Paul Joüon and Takamitsu Muraoka, A Grammar of Biblical Hebrew (vol. 2; Pontificio Istituto Biblico, 2003), 375–376 (Par. 114.e). The plural of majesty does exist for nouns (see Joüon-Muraoka, Par. 136.d), but Gen 1:26 is not about the nouns—the issue is the verbal forms. See also John C. Beckman, “Pluralis Majestatis: Biblical Hebrew,” Encyclopedia of Hebrew Language and Linguistics, vol. 3 (P-Z) (Ed. Geoffrey Khan; Leiden: E. J. Brill, 2013): 145-146. Another incoherent objection is that speaking to the divine council disallows that God is the sole creator (e.g., Cassuto says this is in the first volume of his Genesis commentary, p. 55). This argument lacks validity since all the verbs for creation are clearly singular. In other words, the fact that plural verb forms are found in Gen 1:26 doesn’t prevent a reader from seeing a lone creator. The lone creator announces his intentions to the divine council and then creates. The text is clear they aren’t participating. They just hear the decision / decree. In one footnote in Chapter 5 I alluded to Trinitarian Godhead thinking in the Old Testament. I discuss that on this website in connection with Chapters 16-18. It was in those chapters that I sketched the idea of the two Yahweh figures of the Old Testament (Judaism’s two powers). Consequently, the triune Godhead idea found in the Old Testament is best discussed in connection with those chapters.
. . . Jesus received the kingdom as a human. Before his incarnation, the eternal Son was not a man, and thus did not rule as a man. Philippians 2, for example, speaks of the preincarnate Christ as equal with God. However, Christ received the “name above every name” and the homage of every knee and tongue only after, and as reward for, his incarnation, suffering, and death. Similarly, Col 1:15–20 speaks of Christ as the firstborn of all creation because all things were created in him, etc., but he is the head of the church because he is the “firstborn from the dead…having reconciled to himself all things, whether on earth or in heaven, making peace by the blood of his cross.” Heb 2:9 states that Jesus was “made for a little while lower than the angels” so that everything might be subject to him, he being crowned with glory and honor because of the suffering of death. And Rom 1:3–4 speaks of Jesus being appointed Son of God in power, which, as J. Murray pointed out, is not a declaration of his eternal sonship but his instatement as man to the position of sovereignty. The announcement by God in Gen 1:26 comes across as something new — new information. God is announcing his desire to create humankind. If the plurality referred to members of the Trinity, this makes little sense, as members of the Godhead would already know what God wants to do. In other words, if this is “inter- or inner-Trinitarian conversation,” why an announcement? Why announce something already known? This (frankly) undermines Trinitarian theology (at least in what has become known as its orthodox articulation). In terms of Hebrew, “let us make” is a prefixed (imperfect) form that is semantically cohortative. I’d remind readers who’ve had Hebrew that III-ה lemmas (like עשׂה in Gen 1:26) do not add the final ה for the cohortative form. The issue is semantics, not form. Since it’s a III-ה lemma in view, the form could also be cohortative. (See Jouon-Muraoka, A Grammar of Biblical Hebrew, Par 79, section o). More generally, there is no indication in the passage that the plurality is limited to three. That specific number has to be imported into the passage. And doing so leaves you with the problem noted above — not to mention being in discord with the very normative ANE idea of the high God speaking to members of his entourage. If there was no other passage in the Bible that spoke of divine plurality (God with lesser elohim), you could work with the Trinity here (minus these other incongruities). You have to import it, and then explain why God is announcing something to beings who would already know what’s being announced. That makes little sense to me, and ends up undermining Trinitarian consistency.